After months of turmoil and expensive embarrassment, Members of Parliament elected a new president on Thursday. The historic changing of the guard follows a major defeat for Prime Minister Erna Solberg, but her Conservative Party was still able to choose the candidate to succeed Olemic Thommessen. Her name is Tone Wilhelmsen Trøen, a 52-year-old former nurse who became the first woman to take on the post since Kirsti Kolle Grøndahl held the title of Stortingspresident from 1993-2001. 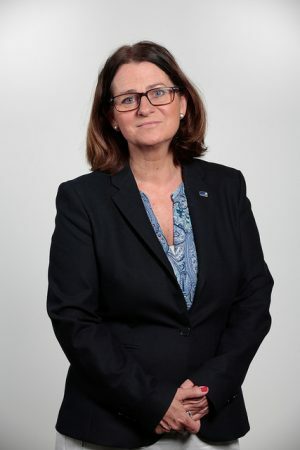 Trøen most recently has served as the Conservative Party’s spokesperson on health care issues and she has been leading the parliament’s committee in charge of family and cultural issues. She becomes only the second woman to lead Parliament in its history and was elected Thursday morning by a vote of 152 in favour and two abstentions. That’s needed, after the president’s office under the leadership of Thommessen oversaw huge budget overruns in a construction project that turned into scandal. Thommessen never fully apologized or, claimed many, assumed responsibility for the scandal, and was thus forced to resign last week after it became clear that a majority had lost confidence in him. The opposition parties decided, though, to honour the ruling Conservative Party’s choice of a new president, to avoid further politicizing the post that ranks second only to the monarch in Norway’s official hierarchy. The scandal and Thommessen’s resignation were big political blows to Prime Minister Solberg, who re-nominated him as president of the Parliament last fall despite scathing criticism from the State Auditor General’s office and the Parliament’s own disciplinary committee. Solberg had also stuck by him amidst mounting outcry over his office’s mismanagement and hundreds of millions of kroner in losses. Solberg seemed to ignore, or at least underestimate, the discontent and ended up being accused of protecting Thommessen instead of being more concerned with cleaning up after him. The national assembly desperately needs a boost of confidence after an autumn and winter that left several MPs facing allegations of sexual harassment in addition to the building scandal and other charges of high spending. Solberg had initially seemed to underestimate the severity of the troubles piling up and continued to claim as late as last week that Thommessen had been “an excellent president in many areas.” She admitted he “should have done a better job” of following up the building scandal but disagreed with the majority in Parliament’s lack of confidence in him. “He was Solberg’s mistake,” wrote Dagens Næringsliv (DN)‘s political commentator Kjetil Alstadheim last week, “and it ended in humiliation for them both.” Now Thommessen will return to his post as an MP just as all three MPs shamed in the “MeToo” campaign against sexual harassment return to their posts, too. The Conservatives’ own young MP Kristian Tonning Riise returned this week from two months of sick leave after he was accused of 11 incidents of harassment and assault. He can’t resign from his elected MP post, nor can the Conservatives fire him, but he has been stripped of all other party roles and won’t even be allowed to attend party events outside the Parliament including the party’s upcoming annual national meeting.